"It is important for wine lovers to lay their bets on wines with authenticity and personality." - - José Manuel Pérez, winemaker, Bodegas Hermanos Pérez Pascuas – Viña Pedrosa (Ribera del Duero). "New Wave cult wines are undeniably tasty and appealing in a shame-inducing way, like Slim Jims (which they resemble - smoky, meaty, spiced, oily, sweet) but they should in no way be confused with truly great wines, as Slim Jims ought not be confused with fine cuisine." - - Josh Raynolds, then National Sales Representative for Neal Rosenthal Wine Merchants (New York); now Wine Reviewer for Stephen Tanzer's International Wine Cellar. During the period from 1995 - 2010, alongside a number of high quality emerging single vineyard estate wines from established bonafide fine wine producers, hundreds of powerful, highly concentrated, new oak-riddled, new-wave wines cropped up all over Spain like the saffron crocuses that proliferate in La Mancha each October. These intensely extracted, international style wines encompass a bewildering array of newly minted brands that vary widely in quality and seriousness. Lumped together under the controversial term vinos de alta expresión ("high expression," or "high concept" wines--read high extract and some say "alta extorsión," for the outrageous prices some command), these potent wines depart sharply from the traditional, mellow, age-worthy style for which La Rioja, the country's premier wine region, was long famous. Winning high praise in some circles and vociferous criticism in others, alta expresión wines pushed Spain smack into the center of the brewing international debate between winemaking traditionalists and advocates of the high-octane New World approach. 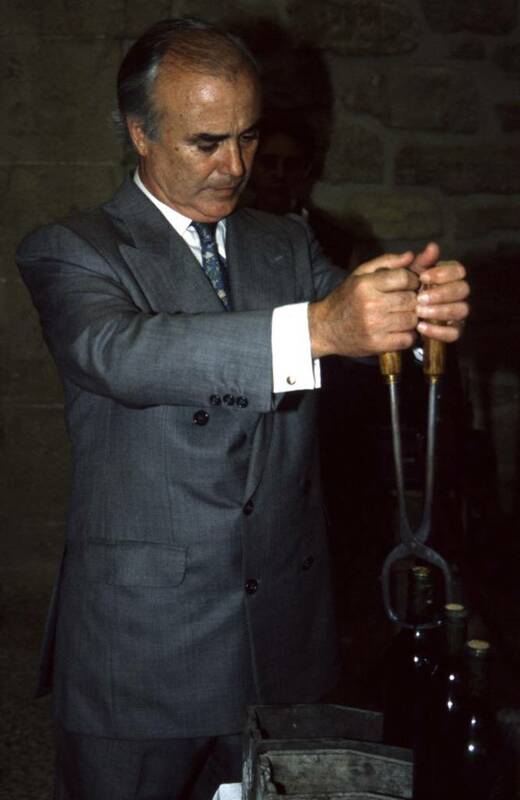 Thomas Perry, then Director of the Rioja Exporters Group, attributes the highly polemical term to Angel Jaime Baro, President of La Rioja's Consejo Regulador (Regulatory Council), who supposedly coined it as a way of trying to promote the profusion of new avant garde style of wines that have emerged from Rioja in the past few years - - wines that are sharp departure from the traditional, mellow, age-worthy wines for which La Rioja is famous. Along with this whole new generation of such wines from La Rioja (see box), new wines from Ribera del Duero, Priorato and Toro - - and now La Mancha, Mallorca, Jumilla, Terra Alta (Cataluña), and Valencia - - are being touted as black gold by some, especially wine writers enamored of the “international” style. And, believe it, making wines that are black as ink is now seen as a virtue in some circles and the prices generally being asked for these wines make saffron, the world’s most expensive spice, seem cheap by comparison. In a wine market that is increasingly driven by a preference for opaque black cherry colors; pronounced new oak and ripe “black fruits” (and often little else) in the nose; voluptuous, jammy, overripe flavors and even a tolerance for residual sugar in red wines, Spanish winemakers have begun purposely producing wines that fit the alta expresión profile. 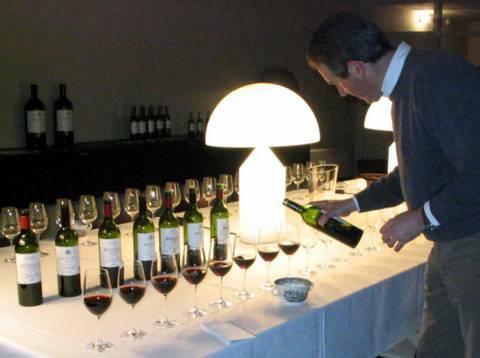 Many top Spanish wine journalists (including a major wine writer, Victor de la Serna of the Madrid-based daily El Mundo, who attacked the use of the term in La Rioja in particular), have excoriated the term vinos de alta expresión in print. 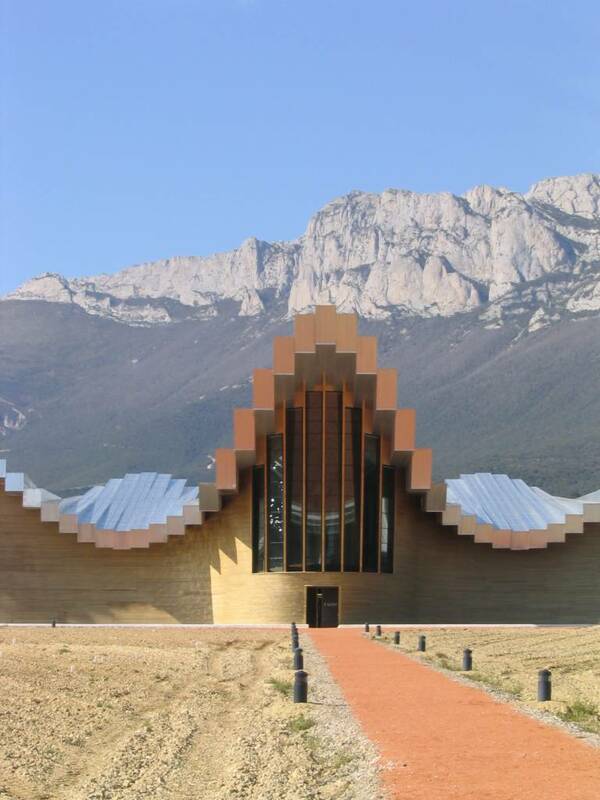 Ironically, de la Serna, many of his fellow Spanish wine journalists, and not a few of Spain’s top producers seem to admire the same dark powerful international style that most alta expresión wines seek to emulate - - as if such wines are yet another sign that Spain has moved into the modern age. 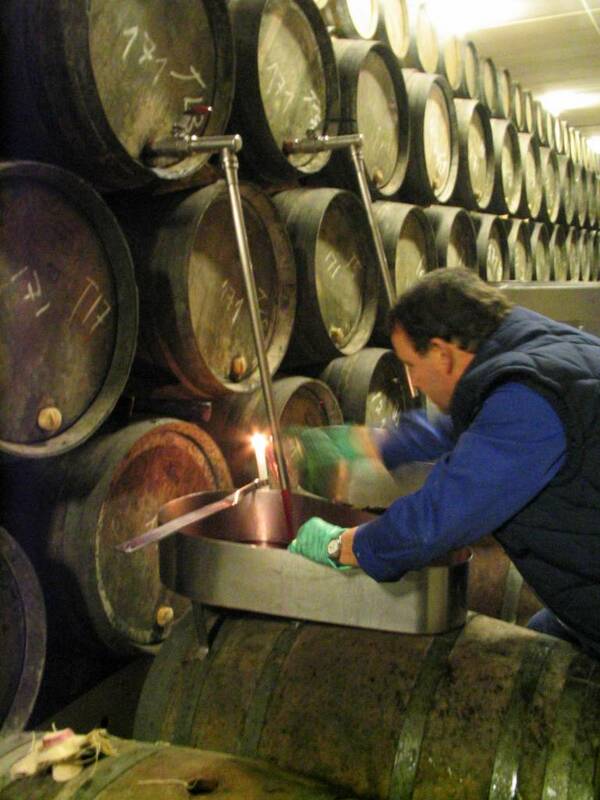 Jésus Madrazo is the 36-year old winemaker at Contino and a descendant of the founder of the great classic bodega, CUNE (Compañía Vinícola de Norte de España). Madrazo, whose family are major shareholders in Contino, told me, “Most of the best producers hate the term alta expresión, but it has come to define the new wave of Spanish wines and is even showing up on restaurant lists as a separate heading.” Wine shops such as Bilbao’s D’Vinno “La Tienda,” owned by an enthusiastic young woman named Esperanza Ares, specialize in high-end, new wave and alta expresión wines. The fruit-driven, power-packed style that alta expresión represents does have some important defenders. Robert M. Parker, Jr., publisher of The Wine Advocate and the world’s most powerful wine critic, is the most visible. In fact, many wine experts say his palate is responsible for launching the whole genre. Stephen Tanzer, the publisher and main wine reviewer for the Stephen Tanzer’s International Wine Cellar, one of Parker’s main rivals, has one of the most respected palates in America. 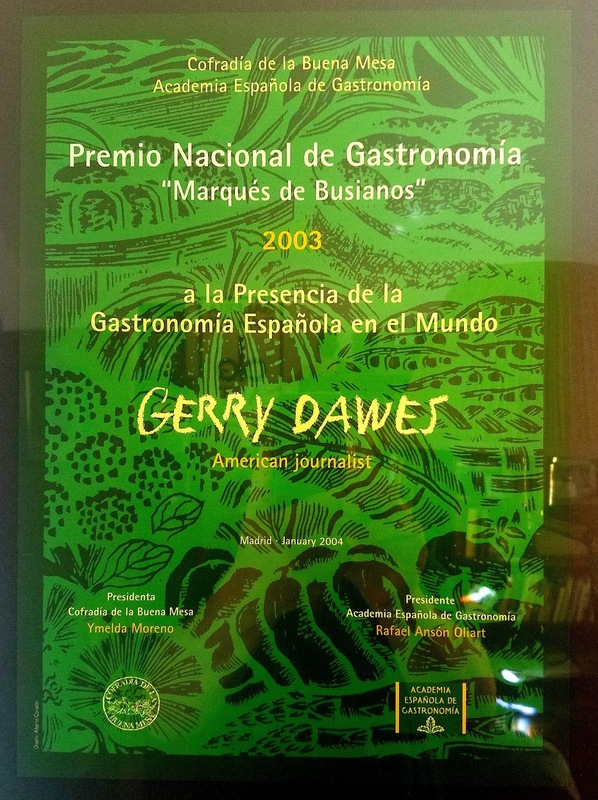 He too, has become an admirer of many of cult wines, garagistes wines, and Spain’s alta expresión wines. Tanzer often rates such wines, including many new wave Spanish wines, in the high nineties. In telephone interviews, defending such wines as Valandraud (an ultra-expensive, high-powered, new wave wine made by Jean-Luc Thuvenin that has set Bordeaux on its ear) and Domino de Pingus (Ribera del Duero), Tanzer told me that he believes that they generally have had a positive impact, especially in Spain and in such places as Bordeaux, where he, like Robert Parker, has been effusive in his praise of many garagistes wines. Miguel Torres Riera, the owner of Miguel Torres, S. A., Cataluña’s most famous winery, agrees. Torres has achieved world-wide recognition for a wide range of red and white table wines including the award-winning estate wine, Mas de la Plana (Black Label) 100% Cabernet Sauvignon, and his new entry into the alta expresión sweepstakes, another single vineyard wine, Grans Muralles. The 1996 Grans Muralles is a limited production (less than 1,000 cases made) blend of several low yield (15 hectolitres per hectare) old vines native red grapes including Monastrell, Garnacha, and the recovered Catalan varieties Samsó and Garró. Álvaro Palacios, 36-year old member of a Rioja Baja family who trace their wine roots back for centuries, is the producer of the international Priorato sensation, L’Ermita, named for his old vines hillside vineyard near the village of Gratallops. L’Ermita is big, powerful rich wine that nevertheless reflects the Priorato style, the old vines native Garnacha (80%), and the terroir of the region’s climate and the licorella soil on which the grapes are grown. 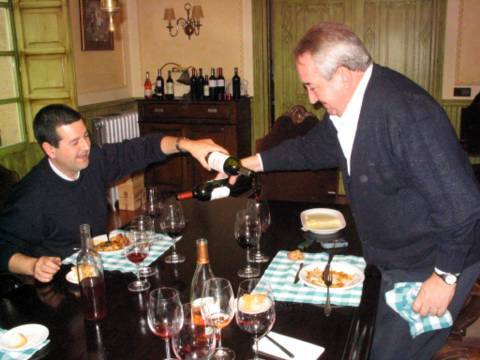 Each year, Palacios has tried to imbue the wine with more elegance and balance even though some lovers of monster wines have criticized him for toning L’Ermita down since his blockbuster first releases in the mid-1990s. Still Sibaritas magazine, one of Spain’s leading wine journals, named the L’Ermita ($165) 1997, from a mediocre vintage, Spain’s Wine of the Year. Many of Spain’s alta expresión-style producers are emulating producers from France, California, and Australia by turning out some of the biggest, most powerful (topping 14% alcohol content has become the norm), most “mind-blowing” wines - - as many of their admirers including such restaurateurs as Chef-owner Mark Miller of Santa Fe’s Coyote Cafe describe them - - anyone has ever seen. Little does it seem to matter that a growing number of veteran wine drinkers and wine writers are grumbling that such wines have reached the pinnacle of absurdity in style, price, and media exposure and that many of these new emperors aren’t wearing all the viticultural and oenological robes in which great wines are supposed to be draped. A host of producers all across Spain, including some from regions with negligible histories of producing anything remotely comparable to fine table wines, are now using irrigation, canopy management, and sophisticated, if not always felicitous, cellar techniques to produce wines that could easily fit the very loosely-defined alta expresión description. Many of them, if not long in the finesse category, certainly fit the power and concentration profile of the powerful, high alcohol, fruit-driven wines currently in fashion among a strata of new wave wine aficionados worldwide. Within the confusion created by the emergence of so many new wines at once, there runs a very complicated undercurrent of factors that is being hashed out in an ongoing debate in the Spanish wine press and among Spain’s greatest producers. The argument over the high powered, concentrated blockbuster style is not unique to Spain, it is going on throughout the wine community and wine lovers are becoming increasingly polarized on the subject. Everyone has an opinion about what direction Spanish wine should take, but few - - especially the Spanish consumer - - have a clear view of what the outcome will be. Battle lines are being drawn in hotly fermenting debate over these emerging entries in the so-called “international style” wine sweepstakes. One thing is sure, Spain and perhaps the rest of the wine world will never be the same once this wild river of vino returns to its banks. Since Spain has become a serious player on the world wine stage in recent years, understanding what is going on in Spain requires some background information about what is going on internationally and, specifically, in the important American market, where it will be a long time before anyone who cares about truly great wine forgets the advent of the Millennium. At least until halfway through 2000, everyone seemed to be getting rich off Internet stocks and spending large amounts of money on wine. Stories were flying everywhere about overnight fortunes and wild nights at expensive restaurants, where the nuevo eno-ricos (the new wine rich) were blowing wads of money on cult wines, miraculous first vintage wonders, garagiste wines, and the new wines from Spain. speculators, many of whom have relatively undeveloped tastes, but do have a rapacious afición for wine that at times seems to border on the religious and what seems to be sheaves of money to burn. In Spain and elsewhere, articles are still being written by a specialist wine press eulogizing the supposed superiority of powerful, concentrated, fruit-driven wines that two decades ago would have been considered mere curiosities by any wine aficionado and completely over the top by sophisticated wine drinkers. (Remember the late harvest Zinfandels of the early 1980s?) It seems that the newer, the rarer, the more expensive the wine, the higher the praise. In California, Screaming Eagle brought an astonishing $500,000 - - the gross national product of a small country - - for a double magnum at the Napa Valley Wine Auction. In a tightly allocated elite market, single bottles of Colgin, Harlan Estate, Araujo, Marcassin, and Bryant Family sold for as much a case of many fine wines from France, Spain, and Italy. A few first vintage Spanish wines topped the $100 per bottle mark and one even approached $500 - - a bottle, not a case. In a recent Chicago Tribune article, William Rice quoted Christian Moueix, owner of Chateau Petrus and Napa Valley’s Dominus Estate as saying, "The character of these wines, we call them 'global,' is based on extraction. I do not care for them, but newcomers to wine seeking to launch a new label on both sides of the ocean hire fashionable winemakers who make wines that are noticed because they are dark, overripe and overly extracted, obvious with a slightly burned taste." 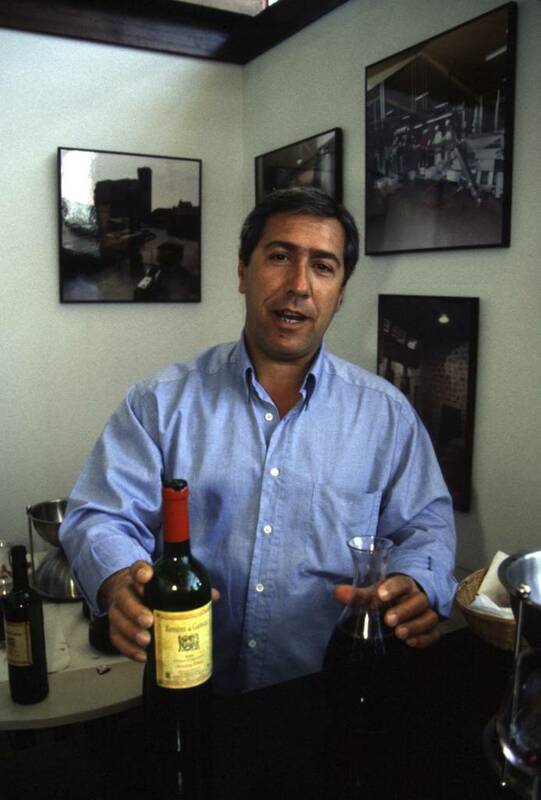 Mariano García, former winemaker until 1998 at Vega Sicilia, is one of Spain’s most accomplished and sought-after winemakers. Now the owner and technical director of Mauro and Maurodos and a consultant in other regions including La Rioja, García has had a string of internationally acclaimed successes, including Mauro, Terreus Pago de Cueva Baja (a single vineyard wine from old vines that tips the scales at 14% alcohol content), and his new San Román from some exceptional old vines near San Román de Hornijos in Toro. García is also involved with Javier Zaccagnini, a former head of the Ribera del Duero DO, in Bodegas Aalto, an ambitious new winery in that region; he is the consulting enologist for Viña Villabuena’s new Rioja wine (ironically dubbed Izadi Expresión by one writer); and he has trained and helped his son Alberto create a new wine called Leda from 50-year old vines in Cigales, just outside Valladolid. “The alta expresión concept is highly polemical,” García told in an interview for this article. Fernando Chivite, at the time, was one of the true stars of modern Spanish wine (but since displaced in the winery in an internecine inheritance struggle). 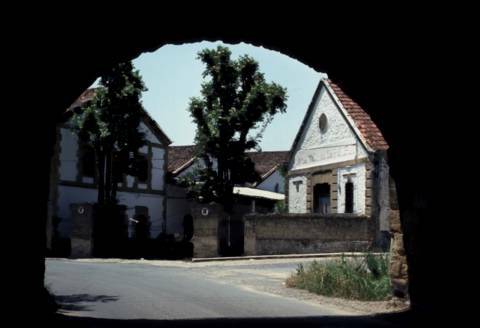 The Chivite family had been making wine in Navarra since the 1600s, but in the 1990s, they completely modernized all their winery operations and Fernando himself had become a consummate winemaker producing thousands of cases of exceptionally good wines at a range of prices. He made excellent, affordable, entry level whites, a superb rosado, solid red wines that one never tires of drinking; one of the great modern Chardonnay-based wines of Europe - - age-worthy in the bargain; and a dessert Moscatel that has the best restaurants in Spain begging for an allocation. Chivite’s much-sought-after red wines include several reasonably-priced, modernized classic-style blends; the excellent, superbly balanced Colección 125 tempranillo and cabernet sauvignon blends from his spectacular Arízano estate in Navarra; and, recently, a beautiful, smooth, silky, properly concentrated Gran Feudo Viñas Viejas (old vines) red from 50- to 60-year old tempranillo and garnacha vineyards. The Chivite family was wildly respected across Spain for what they have accomplished in the modern era; no resting on past laurels here. "Some of today’s techniques are perversions of the winemaking process that negate all classic standards of quality," Chivite said, "Like much of the modern art world, many of the works of modern wine making are not about esthetics and good taste, they are created for their shock value." Victor de la Serna, Deputy Editor Madrid’s daily El Mundo, is one of Spain’s most educated, accomplished, and opinionated wine writers. After attending Vinitech, a biennial wine technology fair held in Bordeaux, he wrote about the experience, noting that the majority of Spanish winemakers in attendance were from lesser known regions, which is significant because apparently many top established producers are the least interventionist in their wine making and don’t feel the need for all the latest winemaking technology. 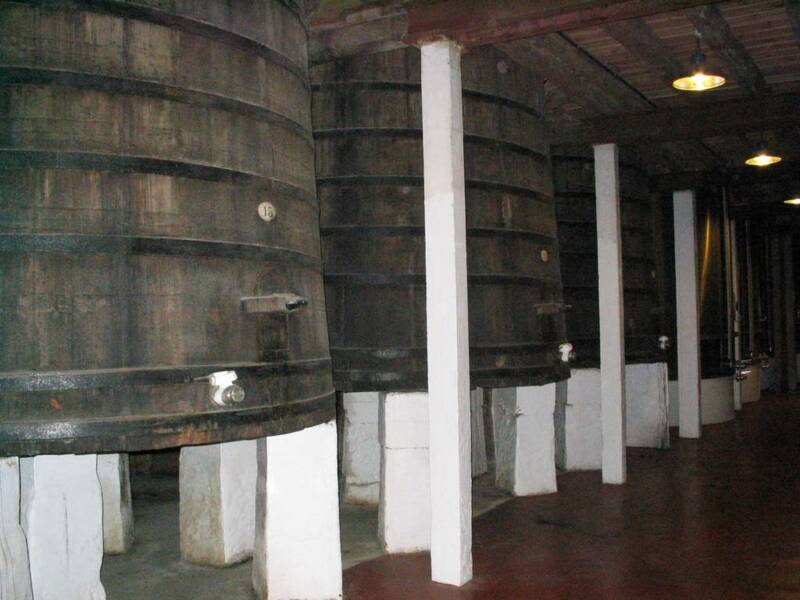 De la Serna observed that, for minimalist winemakers, there were such items the old-style vertical Spanish Marzola presses (Which begs the question: Should Spain’s rapidly-disappearing, so-called “archaic” winemaking methods of decades past go or stay?) and Taransaud, the new favorite French oak barrels that producers such as Vega Sicilia (for their Alión) and Dominio de Pingus are lining up to buy. 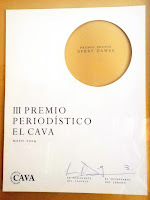 As with some American reviewers, championing heavily extracted, oaky, new wave wines has become a fervor among Spain’s wine writer corps, some of whom are very good wine writers, but have ties to the trade - - either in retail, internet sales, importing, or making wine themselves. Some are so indiscriminate in their praise of these wines - - many of which have obvious, serious flaws - - that they seem to be trumpeting a kind of modernist wine triumphalism that one suspects has as much to do with their trade connections as their love for such wines. 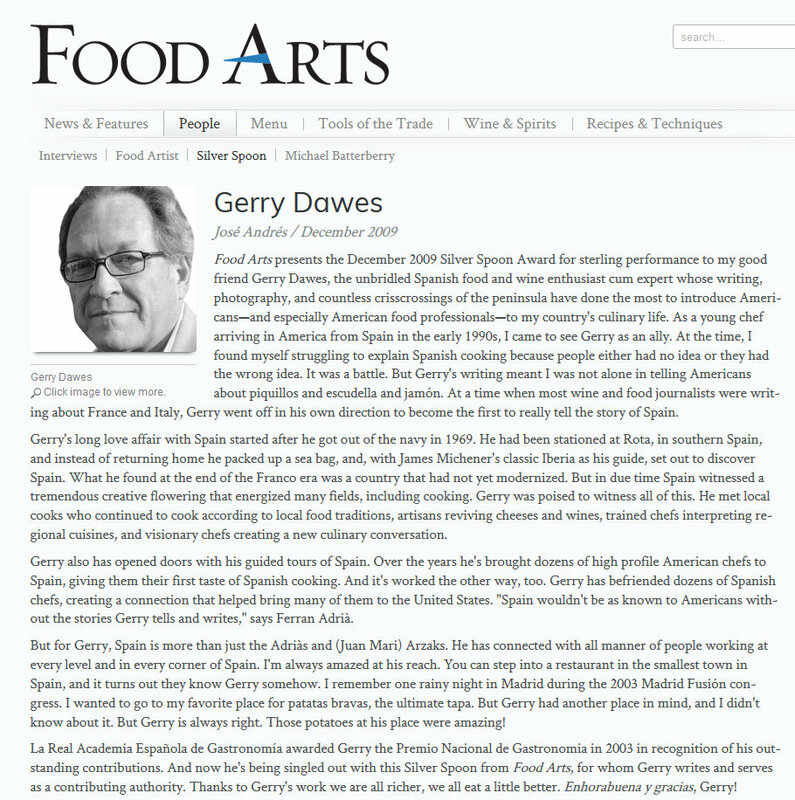 Some of these Spanish writers seem to be ignorant of the fact that most people who have spent any time in Spain recently already know that the country has become a first-rate European player; that the level of quality in many traditional wine regions is on a par with the best in Europe; and that, after several years of experimental cocina nueva meanderings reminiscent of today’s vino nuevo movement, Spanish food (both traditional regional cuisines and modern star-chef driven cooking) is among the most exciting in Europe. De la Serna followed with a listing of some 45 wines, including several white wines, a couple of dessert wines (no sherries), and several red wines (see box) which did not exist even five years ago. On this list was Marqués de Haro, a wine attributed to CUNE (Compañía Vinícola del Norte de España), but actually made by La Rioja Alta, and Vall-Llach, the company that makes the super-concentrated old vines Cims de Porerra (Priorato), which he also listed. Mr. de la Serna, while mentioning that great Rioja houses such as López de Heredia, CUNE, La Rioja Alta, etc. were the stars of the 70s, 80s, and 90s, left all of them off the list. The inference was that these great time-honored houses, who happen to produce some of Spain’s greatest, most enjoyable wines, are now passé and should no doubt be buried with the memory of Franco. 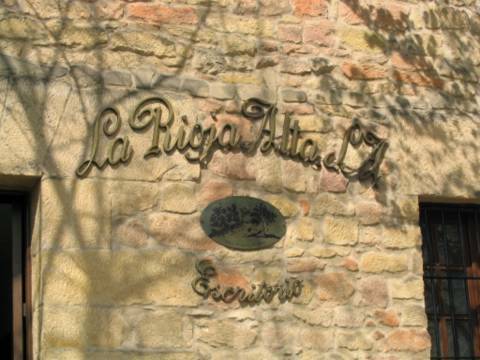 Among other Spanish wine writers, it also currently seems to be the national sport to tar all of classic Rioja with the same broad brush, damning the well-documented mediocrity of many wines from that region and rightfully so in many cases, but condemning by association some of the greatest wineries of Spain such as CVNE, La Rioja Alta, López de Heredia, Marqués de Riscal, Bodegas Riojanas, and others in the process. Worse for the old guard of high-quality wine producers such as Vega Sicilia in the Ribera del Duero and such Rioja wineries as CVNE, La Rioja Alta, Marqués de Riscal, Bodegas Riojanas, and Marqués de Murrieta many of the Johnny-come-latelys were not only getting scores in the high 90s from some reviewers, they are selling for prices well above those of highly respected, established names. And, according to some reviewers, these newly minted wines were far superior to wines that had been revered in Spain and elsewhere for decades. On Victor de la Serna’s list of the new Spanish wine grandees were several of these bonafide modern stars, but several were wines from Spanish bodegas with just a couple of vintages to their credit. There were also a few hastily concocted special cuvees from established wineries which have recently popped up like ping pong balls in a lottery machine, each hoping to be hit the jackpot with wines priced at $50 to $200 per bottle. Such incredible prices were just the tip of the iceberg. Lurking beneath the dark, inky surface of this murky wine market were scores of imitators of this modern blockbuster wine style, among them some good wines, but also what, in the opinion of this thirty year observer of the Spanish wine and food scene, are some of the most questionable wines ever produced in Spain. 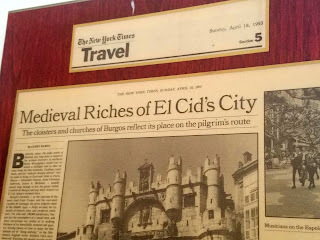 Nowhere on the list were any of the grandes reservas of La Rioja such as CUNE Imperial and Viña Real , La Rioja Alta ‘904, and ‘890 Gran Reserva, Muga Prado Enea, López de Heredia Viña Tondonia, Bodegas Riojanas Monte Real, Marqués de Murrieta Castillo de Igay, or Marqués de Riscal. In the meantime, most of the new wave Rioja wineries have failed to produce anything that to refined palates could remotely be considered a superior wine to best classical Riojas. De la Serna’s list includes wineries such as Roda, who produce what they bill as revolutionary new blockbuster wines and, as we have noted in these pages in the past, even have anointed themselves the “new kings” of La Rioja’s classic Barrio de la Estación district in the process. Roda’s CIRSION 1998, an ultra-expensive alta expresión wine that has been rated in the stratosphere by several Spanish and American reviewers and has been portrayed as a wine that shows how Rioja wines should really be made. To my palate, it is nearly undrinkable. This ungainly 14.5% monster wine comes from the cooler upper reaches of the Atlantic-influenced Rioja Alta district, home of some of finest and most complex wines in Spain? Please! I have been drinking Spanish wines for more than thiry years and I didn’t just taste CIRSION, I tried to drink it with a meal. Not only did the alcohol show, CIRSION is one of the most alcoholic, over-concentrated wines I have ever tasted from La Rioja and is more typical of Toro or Priorato than La Rioja. I do agree that Santolaya’s use of the term “maximum,” has reached its pinnacle with a retail $199 price of CIRSION, the highest price ever asked for a first release from La Rioja. After having been singled out as one of the greatest winemakers of all time with his first vintage, Sisseck’s 1995 Pingus, of which just 325 cases were made, soared to $200 per bottle. Then a shipment of one hundred cases sunk in a shipwreck on the way to the US. Less than 20 cases of Pingus had been reserved for sale in Spain. A few months later lots of the 1995 were next offered by The Rare Wine Company (Sonoma, CA) at $495 per bottle, with a limit of one bottle per customer, but the 1996, which Parker rated 96 points, was bargain-priced at $295 per bottle. 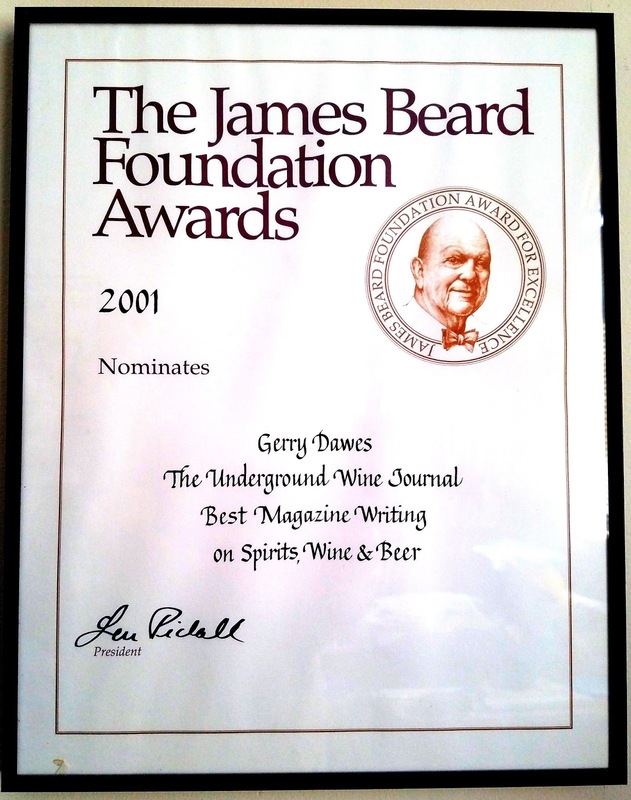 The 1996 was recently listed on nextwine.com for $363 per bottle. By comparison, nextwine.com was offering the exceptional 1990 Cheval Blanc (with the designation 96RP; Robert Parker) for $396; 1990 Haut-Brion (96RP) for $250); 1990 Château Margaux (100RP) for $400; and the 1996 Lafite-Rothschild (100RP) for $280. 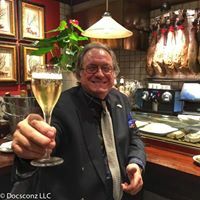 Peter Sisseck is emphatic that “I have never made my wine for Robert Parker,” as he told me in a telephone interview in March. Nevertheless, he very much likes the big, blockbuster style of wine and, although he claims he does not want “power just to get power,” he admires the intense concentration of such wines as Château Rayas (Châteaunuef-du-Pape), Château Valandraud (Bordeaux), and California wines such as Marcassin, Colgin, Bryant, and Screaming Eagle, all of which he mentioned specifically. The word concentration comes up often in conversations with Sisseck and, he, like many other winemakers in this style, seems not to question whether concentration is necessarily a good thing. He told me that he wants to get “ripe tannins.” “I am not going to sacrifice ripe tannins just for balance and lower alcohol,” he said. By “natural,” Sisseck means severe cropping from old vines vineyards, crushing the grapes by press, foot, and even hand; fermenting the must in new oak barrels, practicing frequent battonage (stirring of the lees), and racking the wine into more new oak barrels. The result is a very big, rich, powerful (14.5% to 15% alcohol) wine with very exotic, concentrated black cherry flavors that, indeed “blow away” a taster, even me, but, in past vintages has become so tiring to drink with food that I have never been able to get beyond one glass. Even Sisseck admits that his 1995 and 1996 Dominio de Pingus were “big and brutal,” because of the ripeness of the vintage. 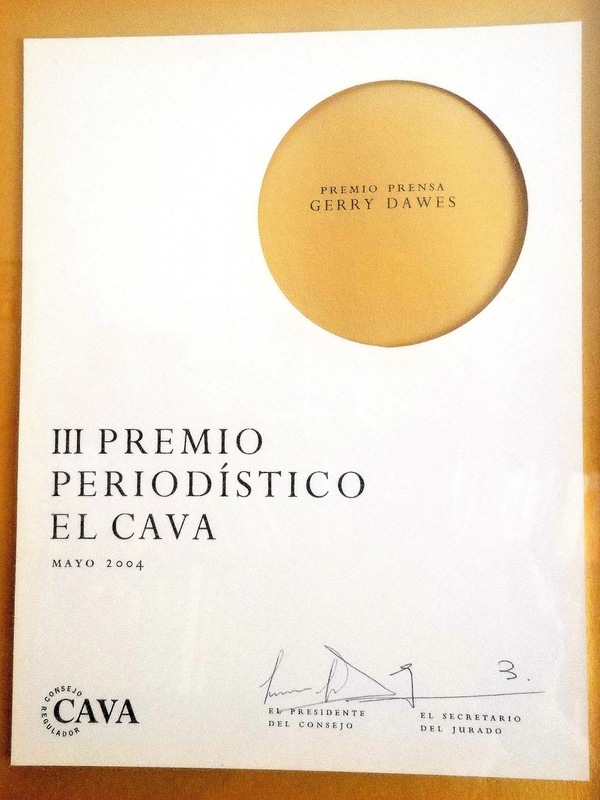 My barrel tastings of the 1998 Dominio de Pingus in his cellars in Quintanilla de Onésimo showed, in this vintage at least, the wines showed more restraint and balance. If I rated wines from barrel samples, which I do not, I would have scored them very highly. I have not had the 1998 with food yet, but I hope it will surpass the 1995 and 1996 vintages (1997 was a poor year in the Ribera). In El Mundo, Victor de la Serna reported interviewing Robert Parker in Paris last year, where Parker had come to receive an award. “Parker had already tasted two different samples of a Ribera del Duero wine, whose first vintage has not even been released, one about which Spaniards have hardly read a line, and he compares it to Pingus.” The wine de la Serna was referring to is Aalto, a new wine being made by Javier Zaccagnini with Mariano García as a consultant. Mr. de la Serna also reported that “Parker likes Spanish wines”and confirmed in his report in El Mundo what some veteran observers of the Spanish wine scene have long known, “Although he still has never come to our country to taste wines (‘next year, without fail’), he gives (Spanish wines) high scores and dedicates laudatory commentaries to them (this year , he gave 99 points to Artadi El Pisón 1995 and Clos Erasmus 1998.” Both these expensive powerhouse wines, the Artadi (La Rioja: see my commentary on this wine), a much hyped Rioja and Clos Erasmus, a Priorato with a highly polemical track record, seem by design to fit the kind of blockbuster profile Parker seems to favor. Many wine experts, among them some of the most respected wine writers in the world, are increasingly vociferous about their dislike for many of the new blockbuster style wines. In the same Jancis Robinson Financial Times article quoted above, one of the world’s most revered wine writers, English author Hugh Johnson declared about the California cult wines, "I find no grace in these wines at all. They're designed for cigar smokers. There's mass, but no aroma." 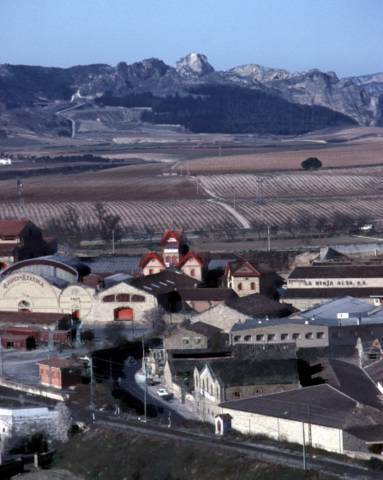 Back in the 1970s, CUNE’s Contino and Remelluri, both in La Rioja Alavesa, brought the estate or chateau winery concept to Spain in the modern era. Jean León, a native Spaniard and Los Angeles restaurateur and then Miguel Torres showed outsiders that world-class Cabernet Sauvignon and Chardonnay could be grown at single vineyard estates in Cataluña. By the 1980s, with Pesquera, Alejandro Fernández demonstrated that the quality of Spain’s most prestigious wine, Vega Sicilia, was no anomaly in the Duero River Valley and the new Ribera de Duero denominación de origen rapidly became an international sensation. 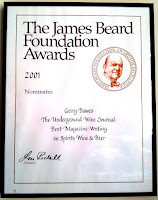 In the late 1980s and early 1990s, an exploding Spanish economy fueled a wine boom of exceptional proportions, Spain’s chefs were recognized as among the best in Europe, a new generation of wine aficionados came of age, wine and food publications proliferated, and for many new money people wine became a fast track ticket to social entree. As a part of the ongoing evolution of modern Spanish wines, a number of first-rate single vineyard wines has emerged. The best of these are clearly showing the world that a brilliant viticultural future that lies ahead of Spain, which has the largest acreage under vine of any country in the world and has an incredible number of old vines vineyards, privileged vineyard sites, and even cool micro-climates capable of producing truly world-class wines. Some of these vineyards are as yet untapped or are in the process of being developed. Among them are many from regions with a centuries-old history of wine making and whose wines were supposedly well-known by Europeans hundreds of years ago, but fell out of fashion. Some wines from these vineyards are truly great expressions of superb grape varieties such as Spain’s great tempranillo, old vines stands of pure native garnacha, and the little known, but high quality graciano of La Rioja. Wines such as those from the family vineyards of Pérez Pascuas (Ribera del Duero), Chivite’s Arínzano vineyard (Navarra), Mariano García’s San Róman vineyard (Zamora’s Toro region), the Contino estate (La Rioja Alavesa), Álvaro Palacios L’Ermita (Priorato), several Catalan estates of Miguel Torres (Mas de Plana, Grans Muralles, and Milmanda [white wines]), Alejandro Fernández’s Pesquera and Condado de Haza properties (Ribera del Duero), and his new estates in Zamora and La Mancha come from exceptional micro-climates married to mature vineyards with distinguishable characteristics. The exceptional wines made from these vineyards are among Europe’s greatest surprises and they have the potential to rank among the best in the world. Part of the answer to why this Spanish wine explosion has occurred lies in the fact that Spain has more acreage under vines than any major wine-producing country on earth and its Mediterranean regions (as opposed to the Atlantic climate-influenced regions such as La Rioja) have all the warm country climate that California has used to so much advantage. All around Spain, especially in some Mediterrean-influenced regions once considered too warm to produce fine wines, there are numerous pockets of old vines Tempranillo, Garnacha, and other varieties just waiting for someone to exploit. On the one hand, it is exhilarating to see what modern wine making technology, techniques, and trained winemakers can achieve in these barely tapped gold mines of wine, but the current wine gold rush also has the pitfalls that any rush to riches does. Consumers who are attracted to the lure of the moment run the risk of getting sold a lot of very expensive, sometimes rotten eggs, while they are waiting for the promise of incredible wine riches to pan out. José Manuel Pérez, one of Spain’s most talented young winemakers, makes some of Spain’s most highly respected wines from 60 year-old vines planted by his grandfather at his family’s Ribera del Duero wine estate, Bodegas Hermanos Pérez Pascuas Viña Pedrosa. The quality of their Tempranillo vineyards around Pedrosa del Duero, the family’s dedication in maintaining them (José’s father Benjamín was Spain’s viti-culturalist of the year and his two uncles, Adolfo and Manuel also work daily in the operation), the limits of cultivation climate next to where the high wheat-growing páramo begins, and 34-year old José Manuel’s winemaking skill all contribute to one of Spain’s model wine-producing estates. When contemplating the purchase of these highly extracted, new wave or alta expresión wines, perhaps consumers should consider Stephen Tanzer’s Freudian statement from my conversation with him. It goes to heart of the matter with many of these new wave wines. “Drinkability with meals is only about 20% of the equation,” Tanzer said. “How well the wines drink with food.” Now there’s a true alta expresión that should be high on anyone’s list of reasons to buy a wine, Spanish or otherwise.